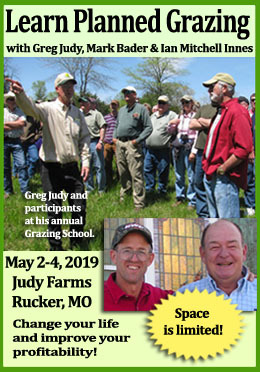 Victor Shelton of the NRCS in Indiana puts out a monthly newsletter called “Grazing Bites.” In the June issue he talks about what we can do to stay ahead of our forage when it’s growing rapidly in the early grazing season. Here’s a link to an On Pasture article and video to help you figure out what stage your grasses are in. Just Click and enjoy! It is raining as I write this. I had aimed to cut some hay last weekend on a piece of land that can’t be grazed but was quickly stopped by pop-up storms. Hay fields will just have to wait for a better day, at least moisture wise. The worst thing is watching quality slowly decrease as the plants mature. Most of our cool season grasses are the best quality for the quantity when cut by early boot stage. That early boot stage is from stem elongation to very early seed head formation; you can’t see the seed head much. Just past that is early seed head formation to milk stage. The seed heads have a slightly white, liquidy substance to them if pinched. Animals often like to eat the seed heads in this milk stage up to dough stage, probably because the plant is putting energy there for seed production. Sadly, that redirected energy starts lowering plant quality. This downhill slide in quality continues as the grass finishes maturing. Unfortunely, it is often at this “dry seed head” stage that a lot of hay is cut. This is especially true if you are also a row crop farmer whose first priority is getting the corn and soybeans planted. Rain, timely or ill-timed as it might be, makes all of this even more challenging. If it is too wet to be in the fields, then it is too wet to be trying to make dry hay. I know of one individual who doesn’t worry about getting it cut prior to dry seed head and is convinced that regrowth and new growth in the understory eventually makes up the difference in quality. I’ve not found this to be totally true. Eventually, forage quality increases after maturity because of secondary growth, but it does not come close to its original potential and overall yield is also reduced. The struggle with making dry hay in weather like we have had this spring, certainly makes you think a little more about making baleage instead. 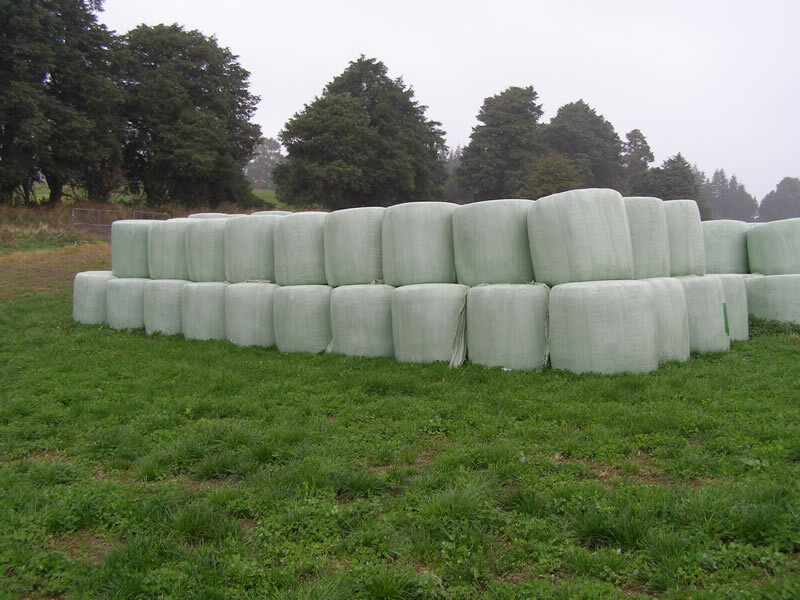 This baled grass silage, requires a higher moisture range of 40 to 60% instead of the ideal dry hay percentage of 15%, which fits our wet spring weather patterns much better. Balage also works well with the harvesting of small grain crops for forage which are often very hard to dry sufficiently. High moisture is required, ideally about 50-55%. Baleage though has to be wrapped and wrapped well. You want it to ferment, which adds some lactic acid that prevents microbial activity which would make it start to rot. Wet hay, that is supposed to be dry hay, quickly heats up and soon starts growing molds, some of which can be very toxic. Spoiled hay is such a waste; poor to feed, high in waste, and nutrients moved off site with no benefit. For quality feed, it has to be either “dry” hay or balage, there is no in between! Balage may require some adjustments to your large baler, possibly handling equipment, and requires a wrapper. More moisture equals much more weight! 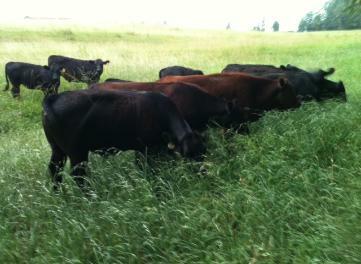 Proffitt Family Cattle Company’s happy cattle graze tall grass. Photo from proffittfarms.com. I’m starting to talk about hay and balage way too much here. After all, this is “grazing” bites. What do we do to try and keep forage under control and maintain quality when it is growing like crazy? The first approach should be rotating the livestock a little faster trying to take off the top 1/3 of the plant which will slow down the maturing growth some; we are past this stage (needs to be done pre-boot). As the forage continues to try and set seed, you can slow the rotation and let them consume more of the plant, choosing the best, leaving the rest and taking about half of the growth before moving. There will be more seed heads in milk or dough stage and you will usually notice more seed head consumption during this timeframe. Hopefully you are able to stay ahead of some of the forage. This is the time of year that you should have more forage than you can keep ahead of. If you are already short of forage and it is not getting ahead of you, then you need to be looking at fertility levels and/or the number of livestock you are trying to keep. Not enough now? It won’t get any better as it heats up and dries down, which is coming. 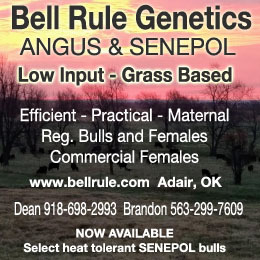 Mowing or clipping is the next option. Mowing for hay should only be done if you need the hay. Hay removal means nutrient removal; nutrients that will need to be replaced. Haying also opens up the sward, allows the soil to dry out more and increases soil temperature; both can reduce regrowth potential and potentially decrease soil organic matter and water holding capacity. 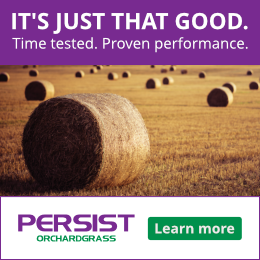 Forage is not wasted if left in the field. It can still be grazed and what is not grazed returns to the soil to help maintain nutrients, moisture, and organic matter…that is why I always say, maintain cover! Clipping or bush-hogging done early enough can do a lot to maintain quality, remove and reduce seed head production and still maintain cover. Don’t wait too late. If the seed heads on the grasses are already turning brown when you mow it, you are doing more for aesthetics than forage quality. Clipping it prior to seed maturity helps to maintain forage quality because energy that would have gone to seed production is reduced and it is used for more vegetative growth. This is not always true though. A grass plant that is totally stressed out is going to do everything it can to produce seed. It feels threatened. That is really obvious on a compacted site. I believe the weather the past couple years has pushed seed head production. I’ve seen stands of grass, as late as July with only 15% seed head production that had not yet been touched for the year. There is a lot of good stuff going on in such a situation; that plant is happy.